YellowBox CRM is aimed at small and medium-sized companies that want to implement a simple and scalable solution. YellowBox CRM offers a complete standard functional scope. YellowBox CRM is not marketed in a modular way : all CRM functionalities (sales, marketing, customer services) are delivered as standard. You can change this perimeter as you need it. The YellowBox CRM application is accessible via the Internet, regardless of browser and hardware (desktop, laptop, tablet, smartphone). This flexibility allows you to access your customer data at any time. The solution is very easy to handle. The solution administrator (technical or functional) can fully configure the application. Processes can thus be parameterized over time without complicated computer skills. 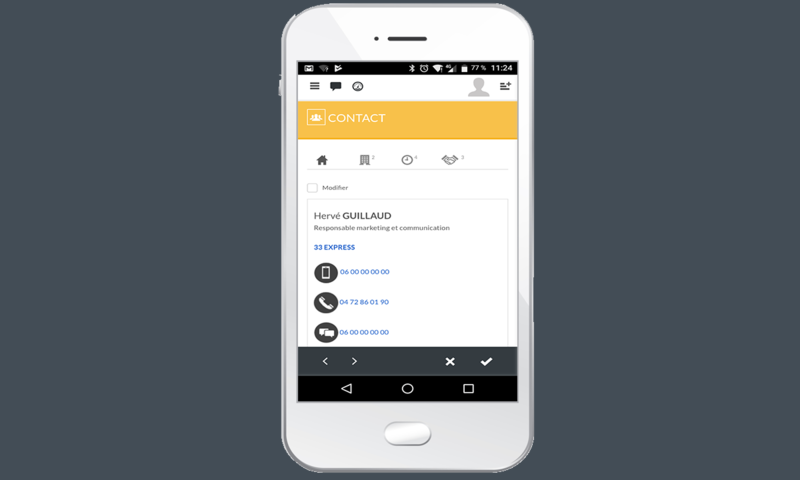 YellowBox CRM can be interfaced with your ERP, your accounting, business management, website, your messaging and office tools, your telephony, ...). The economic model is extremely flexible and simple: pricing to the simultaneous and unnamed user. The offer is not modular to make it simple and readable. The solution is marketed in "license purchase" mode or "Saas / Cloud" mode. The Saas / Cloud offer is reversible. For more than 20 years, DIMO Software has been addressing companies of all sizes and sectors. In this way, we can offer our customers the best practices in their field.